Shopping center and town of belmont doesn't care if they trash Browntown. We are the @#$% step-child of belmont. This is the only shopping center in belmont that is this nasty! They have always bullied and thumbed their nose at Browntown. Only a few things have been picked up, but over all it's still a dump. Eastwood Shopping Center in Belmont, NC is the nastiest commercial property in town! 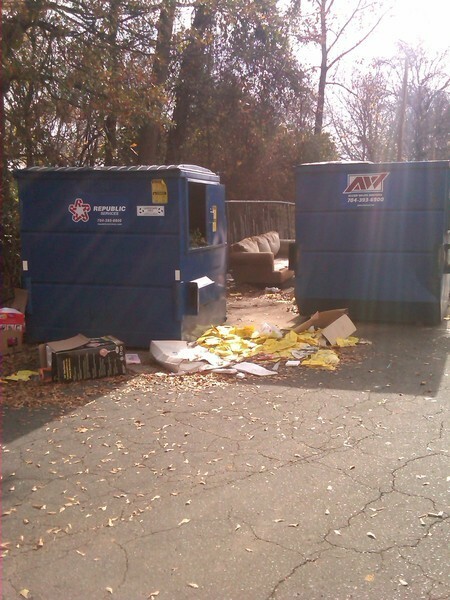 The property owner, tenants, and city officials aren't concerned with the constant littering. If they were it would never have been allowed to reach this amount of trash near the perimeter of this shopping center, it's a disgrace! When the trash blows (sometimes mechanically) onto adjacent property(50'-75') it becomes someone else's problem. If your in Belmont drive around the back of Rent-A-Center and look for yourself. I think all the trash surrounding this shopping center should be cleaned up by them since in originated from there! But I won't hold my breath till it happens!!! 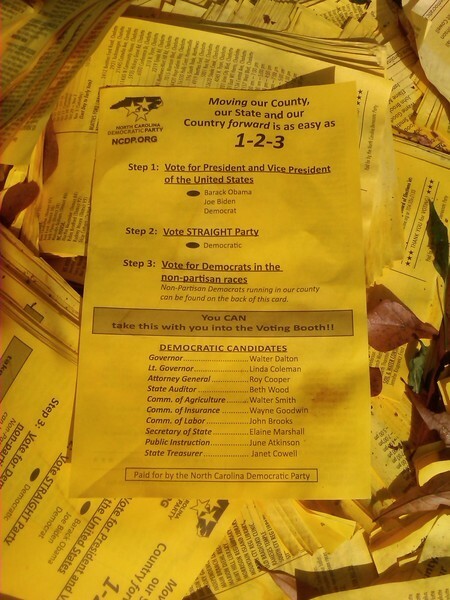 The DEMOCRAIC PARTY has dumped their cheat sheets left over from election day on the parking lot behind Rent-A-Center. The wind has scattered it over the parking lot and in the yards of Browntown residents. 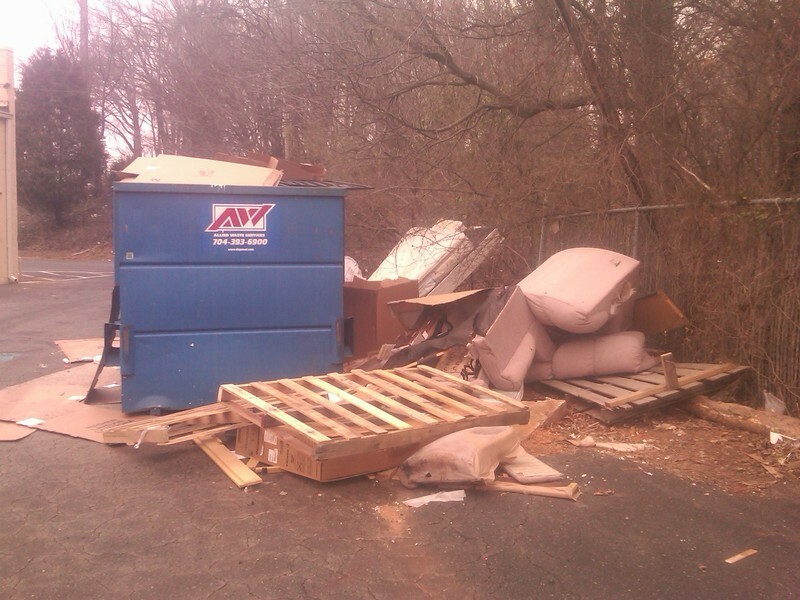 Trash has been accumulating for months and the City of Belmont doesn't do ANYTHING! There are over 35 "patches" on Linwood Road between Spencer Avenue and Garrison Blvd. Want to know how it felt to ride a buckboard? Just drive the one mile on Linwood...you'll know then! we would like to see linwood road fixed,but no one has even tried to fix the problem and its been like this for years and needs to be fixed.it seems that every other road can get fixed but this one.i will find out who else can take care of this since you guys say see click n fix,but we dont see it happing!!!!!!! A neighbor left their cat behind after they moved. Before that another neighbor left 3 Yorkies and kittens. One kitten wondered down to the end of my street and we took him in (he's an outside cat). The neighbor that left their cat behind my cat got her pregnant so we got him fixed. She is pregnant again and we took one kitten in because she got snake bit, one kitten died and the other 2 are going to a home together. I called Charlotte Humane Society they won't take her they said to take her to Animal Control so I called the Gaston Humane Society and they said that they couldn't help and to put flyers in my vets office or to take her to the Animal Control. If the Humane Society is supposed to help animals why won't they help me out and take her in. I don't understand why you see the Charlotte Humane Society on the WBTV/WCCB and they are either a stray or their owner has surrendered them but they won't help a homeless cat that is sweet and loving. They know what Animal Control will do and so do I. I would really appreciate your help! My mom and I enjoy shopping at Belk's-Eastridge Mall in Gastonia. However, for the last few years she has been in a wheel chair due to medical complications and she is now on dialysis. The problem with taking her shopping in her wheel chair is there is no handicap button to push to access the doors into Belk's from the parking lot at any of the outside entrances. This makes it very difficult to get her inside the door of the store. We would appreciate if this could be installed to make the entrances for people in wheel chairs to access the Belk Department Store. Thank you for your assistance. 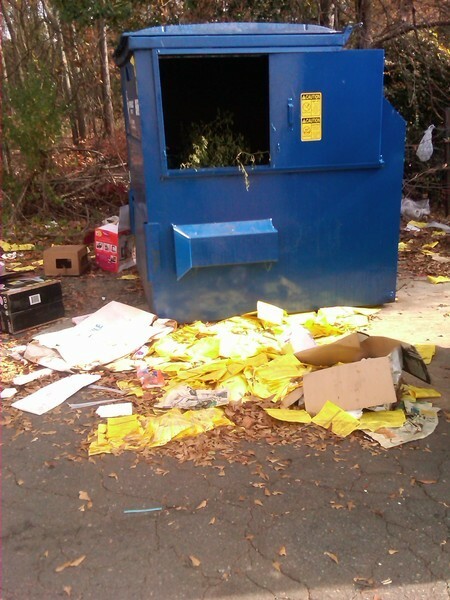 The Eastwood Shopping Center in Belmont NC is letting its trash litter the surrounding properties. Trash is blown 50 - 75' into the woods. The photos are old and don't show the woods or how bad it really is! It just keeps on gettin worse! It's 03/27/2012 and Eastwood Shopping Center still looks the same, except they trimmed the vines and under growth off the fence. So the trash can be seen easier and blow into other property. The trash has not been picked up, it's worse! The City of Belmont doesn't care! It's Browntown! This issue was addressed on TV and cleaned up months ago. But now it's back to same ole same ole. Trash build up is back. Nothin has really changed, just a temporary lull in the nasty mess. I live within walking distance of the pizza hut off South Chester Street. I have seen many people trying to pull out of the pizza hut parking lot and nearly get hit, and have seen several actually get hit, I have even had a close call coming from this parking lot. The problem is that you can not see weather traffic is coming or not, and 321 South is a very busy street. I feel this exit/entrance should be closed off and people should only be able to use one of the other exit/entrances into the parking lot. southbound new hope rd traffic has 1 lane to turn right between bojangles and kentucky fried chicken, the same lane enables right turns onto I85 S. Crashes will occur when drivers don't turn right @ first turn & interrupt drivers to turn right onto I85 S.
New Hope Road (NC 279) was resurfaced by the North Caroina Department of Transportation (NCDOT) last summer. Part of the resurfacing activity is the replacement of pavement markings after completion of the asphalt installation. Concerns, with respect to, the current pavement markings should be forwarded to the NCDOT Division Twelve office in Shelby. I hope that I don't wreck while entering the right lane to enter I 85 South ! Coming from Office depot to Ridge Lane. You can't see a car coming unless you get into the road. Today is April 29, 2013 and I almost got hit by a car.Problem has NOT been addressed. There is a small hill there that may need to be taken down some so when the growth does grow back maybe you can see . Thanks for any help you can give anyone that come out from the shopping center. Nothing has been done about this problem !!! It is just as dangerous as it was before. When the weeds are up you can't see if a car is coming until you pull into the road. There is a small hill there and it needs to be taken down. Debris, dead vehicles with junk in them, a ripped up camping trailer, wood, overgrowth of vines and weeds, junk stench :That's the front yard. Overgrown yard, abandoned pool with water and debris, stench, bugs, wooden fence sections not connected propped on neighbors chain link ,stench : that's back yard. Neighborhood homes have lost value, people have moved and sold homes because of this mess. This problem was reported to Gaston Co. Police and commisoners . They assesses and nothing has changed. Frustrated.